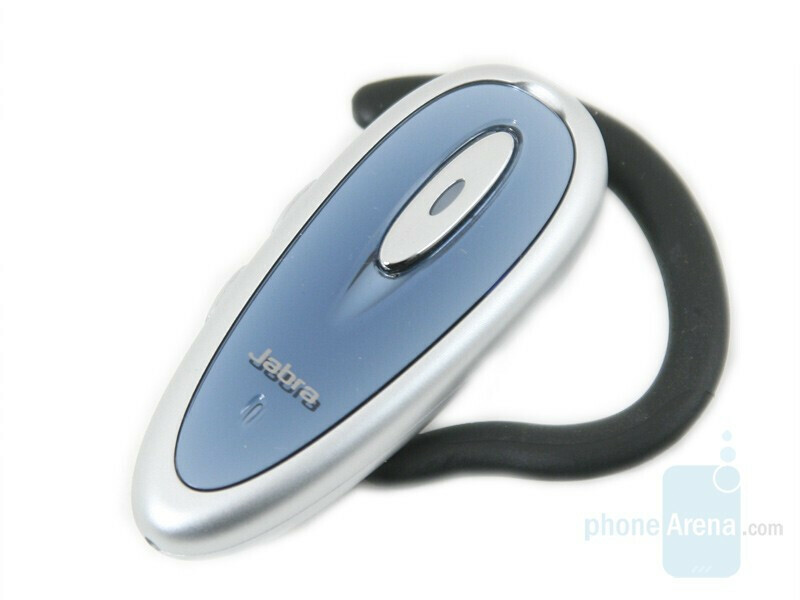 Jabra, being a company, which specializes in development and elaboration of mobile phone headsets, has always demonstrated devices that capture the attention of broad user circles. 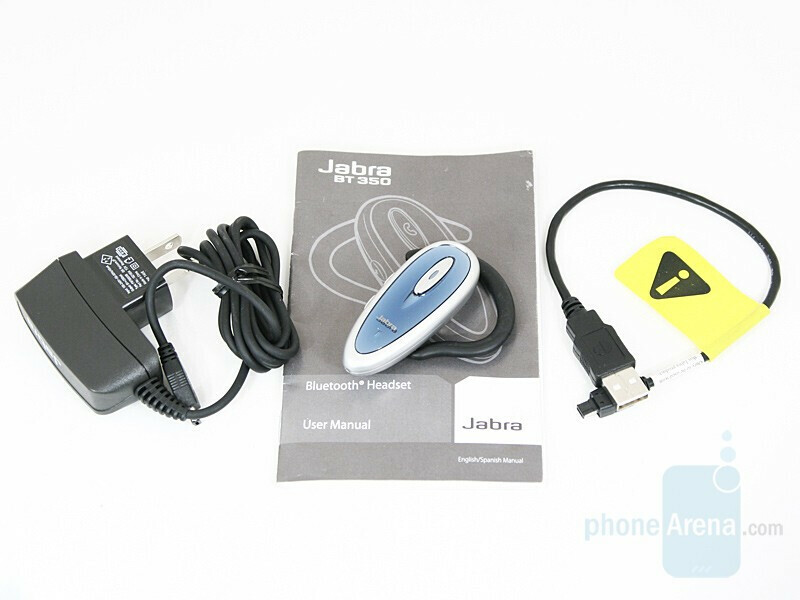 Today we are going to make a more detailed presentation of Jabra BT350. This model is identical in shape and size with two other „representatives“ of the manufacturer's range of products, namely BT150 and BT160, and belongs to the same „entry level“ class as well. In case you decide to stay with us, you will find out what the actual difference between them is: is it only color design that marks the 350 off, or there is something more intriguing to it. We cannot miss the presence of an „extra“ one - the USB charging cable – in addition to the traditional items (User Manual and power charger). 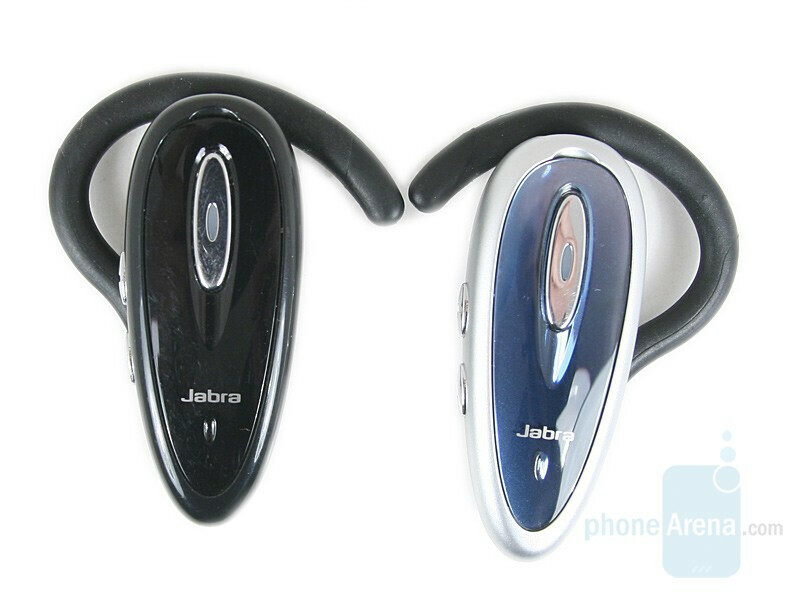 Jabra BT350 features a harmonious combination of two colors: blue and silver. The front panel is made of glossy blue plastic and the rest of the headset is of matte silver. 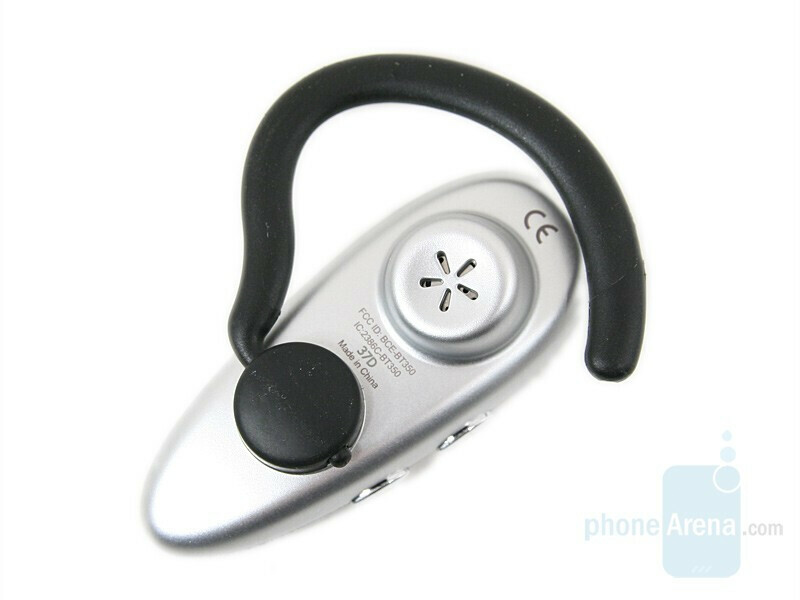 The rubber-coated earhook is black and it fastens to the headset – secure and with high-quality concept. We mentioned above that the shape and size of BT350 match these of Jabra BT150/BT160, namely 63 x 26 x 12 mm / 2.5 x 1 x 0.5 inch. As for the unit’s weight, it has grown by 2 grams to reach 18. 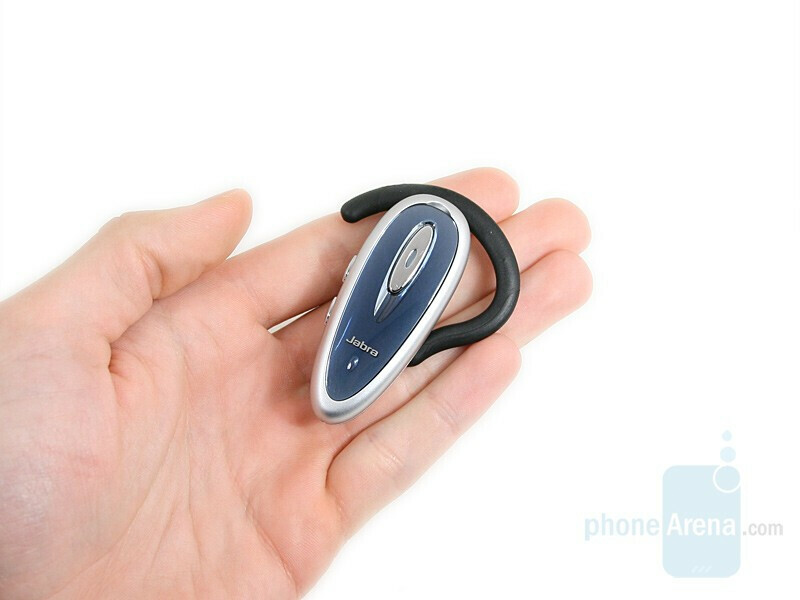 The device is designed in such a way that it is possible to be attached on either ear. 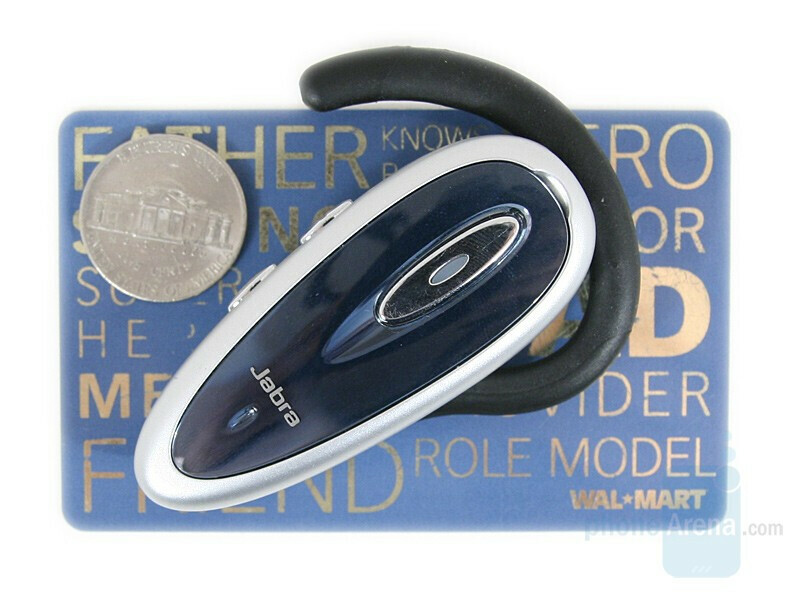 All you need to do is to raise and turn the earhook to180 degrees to change its position. After several turns, we noticed that the attaching mechanism of the earhook loosened and it started to turn easier than before. 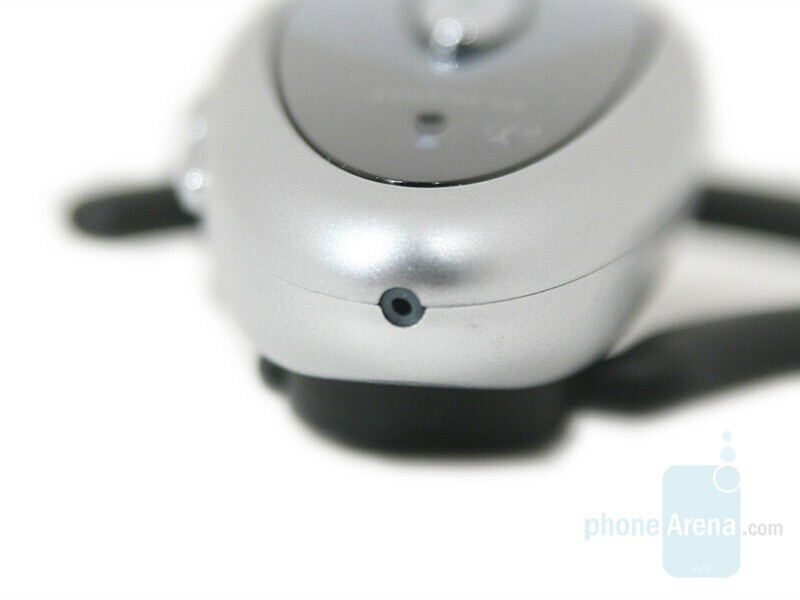 Not only the attaching mechanism of the earhook, but also the speaker is located at the back of the headset. It protrudes a bit in order to be closer to your auditory canal so that you can hear better. The microphone is located at the bottom of the device and its position is as close as possible to your mouth. 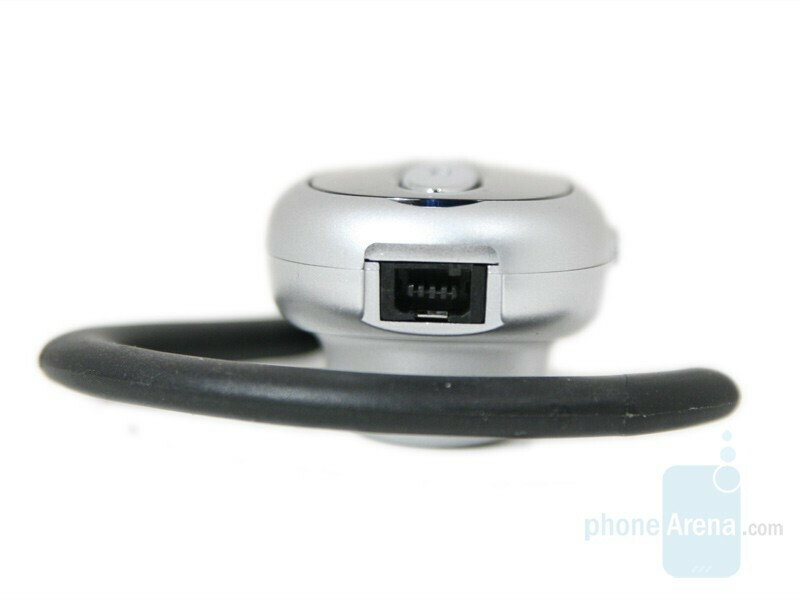 The charging connector is located opposite the microphone and it would have been a nice to have a removable cove to protect it from dirt. There are 3 control buttons: answer/end button and volume up and down buttons and you can activate different functions of the device by combinations of this buttons. 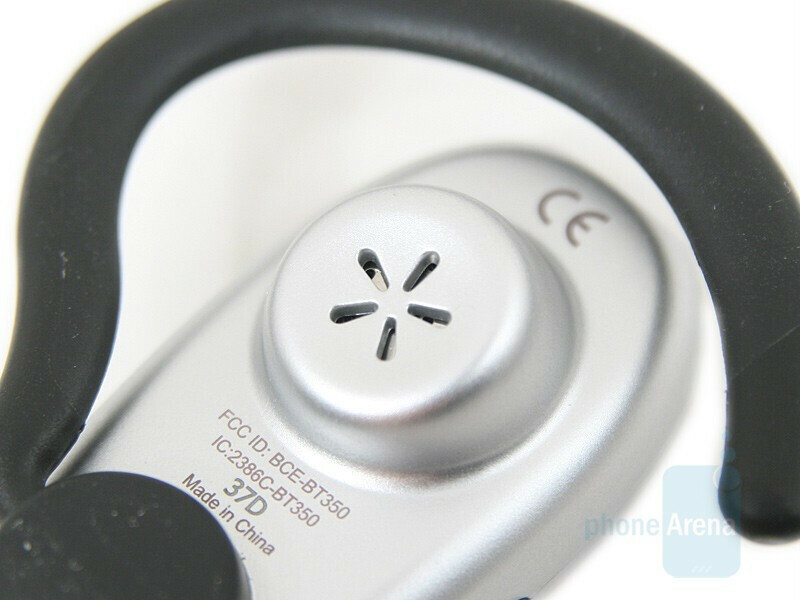 On the front part of the headset is located the answer/end button, which has an oblong shape and can be pressed easily even with the soft part of your finger. 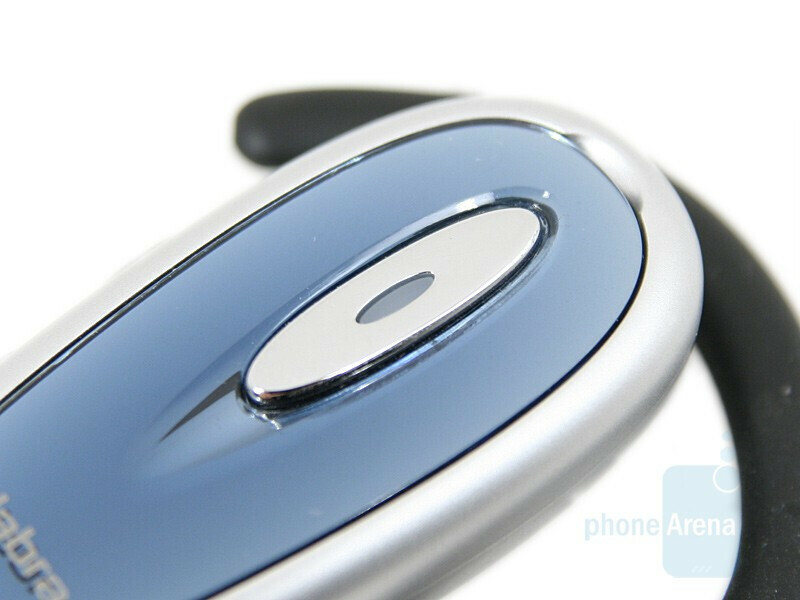 The volume up and down buttons are placed on one side of the device and their location can be felt very well because they are raised from the flat surface of the device. They also have an oblong shape and the signs “+” and “-” are carved on them and if your fingers are sensitive enough, you can even feel which one is the volume up and which one is the volume down button. 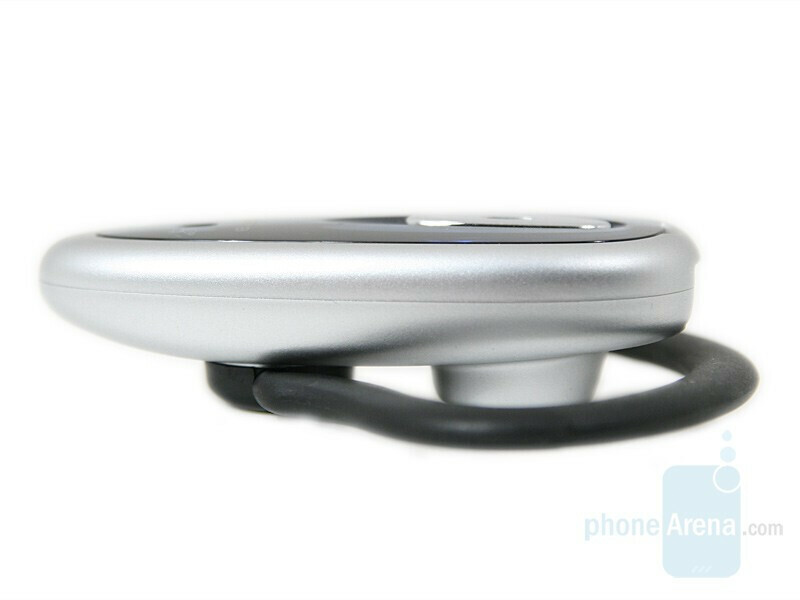 All buttons have a very good tactile feedback and because of that they are really easy and comfortable to use. 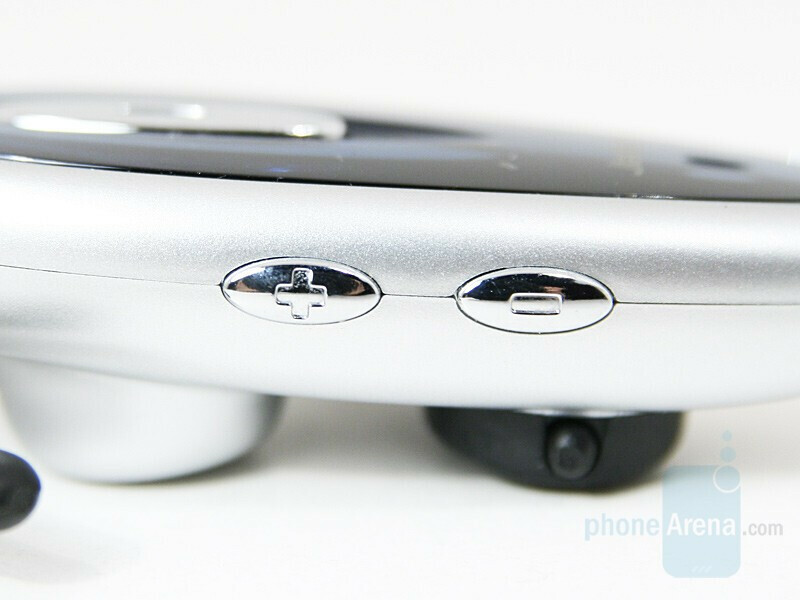 The LED indicator is located in the middle of the answer/end button and it informs you for the headset status and depending on that it lights in blue, red or green color.